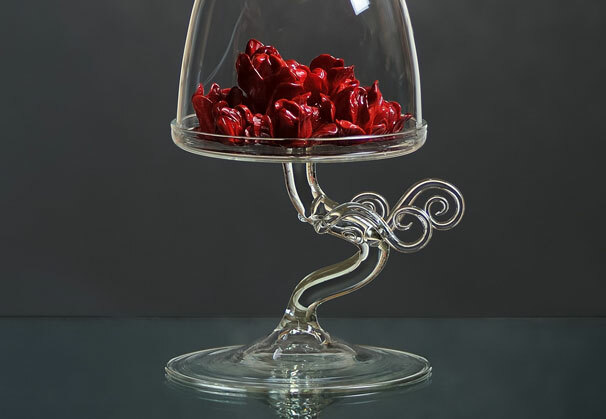 Karina Guévin and Cédric Ginart are artists working in glass, both separately and collaboratively. They are based in Montreal, Canada. 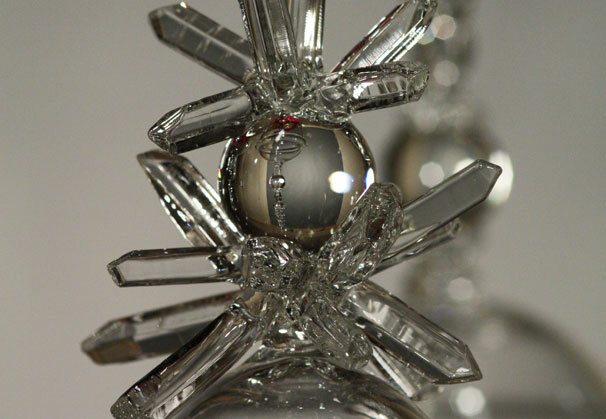 Karina studied art (including glass) in college and perfected her glassblowing skills at Montreal’s glass school, Espace Verre, while Cédric’s path started with scientific glassblowing and evolved to artistic pursuits. Karina and Cédric are represented by Sandra Ainsley Gallery in Toronto, Canada. 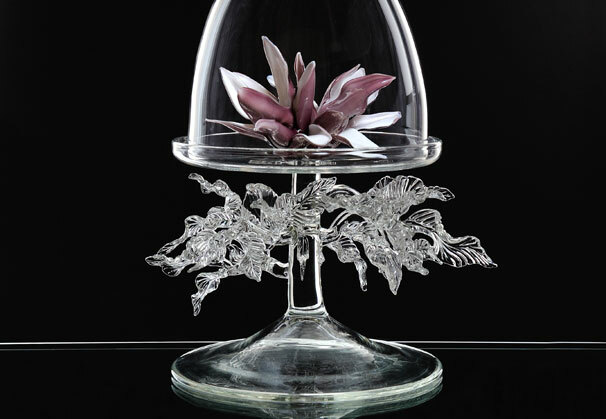 Karina Guévin/Cédric Ginart, Magnolia Liliflora Nigra, 2013; 19 x 19 x 9 inches; glass. Photo by René Rioux. 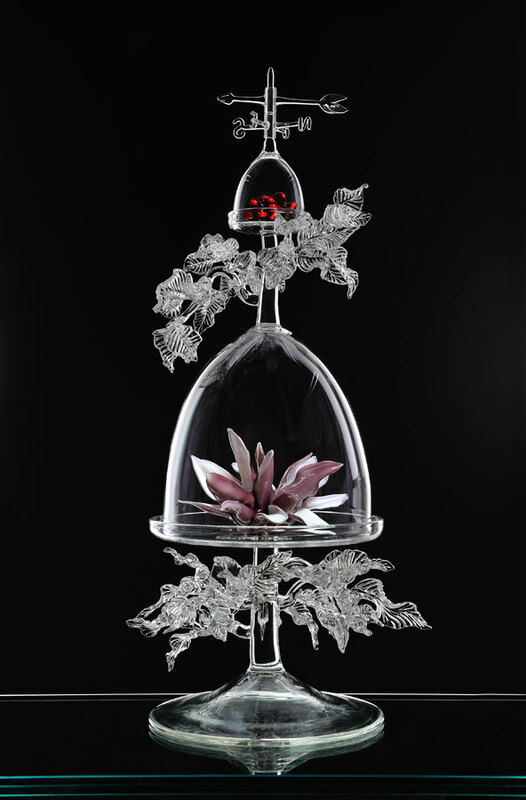 Karina Guévin/Cédric Ginart, Magnolia Pyramidata, 2012; 36 x 8 x 8 inches; glass. 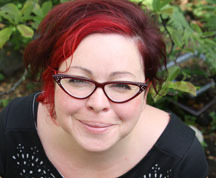 Photo by René Rioux. My work celebrates femininity, sensuality and happiness. 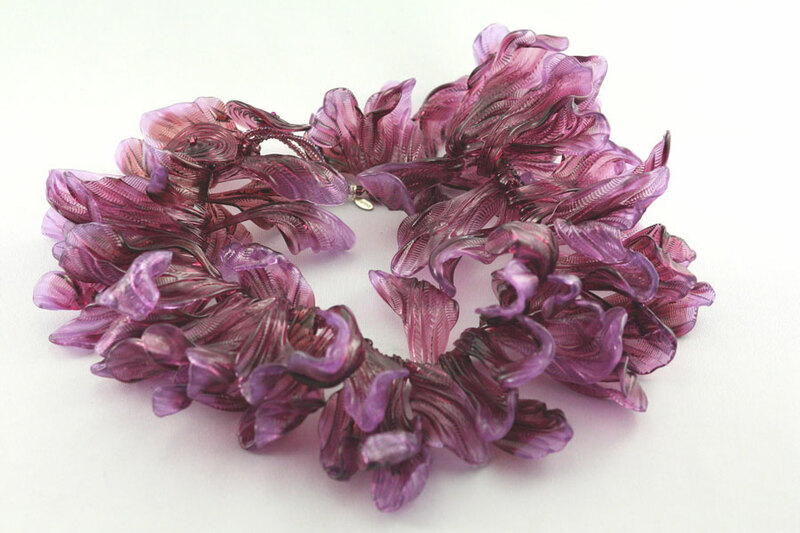 If I had to describe in one word my approach to glass, it would undoubtedly be “passion.” Whether I am creating flame-worked jewelry or blown glass sculpture, it always reflects my enthusiastic and lively personality. I am completely dedicated to my work and it is directly linked to my innermost emotions and dreams. It’s very personal and expresses joy, love, life and sensuality. 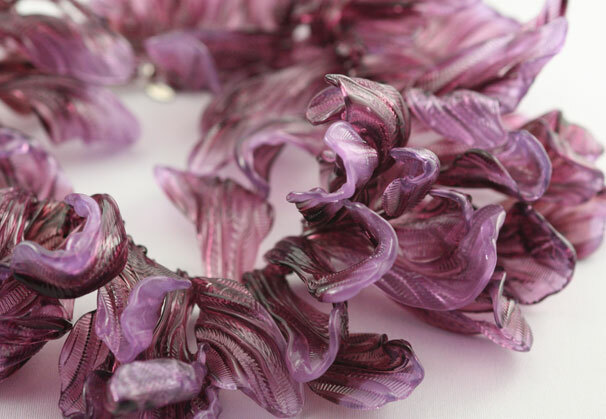 The seductive sculptural jewelry that I make challenges the boundaries of feminine ornament. Through my whimsical use of form and color, necklaces and rings become wearable sculptures that inspire intimacy and enjoyment. 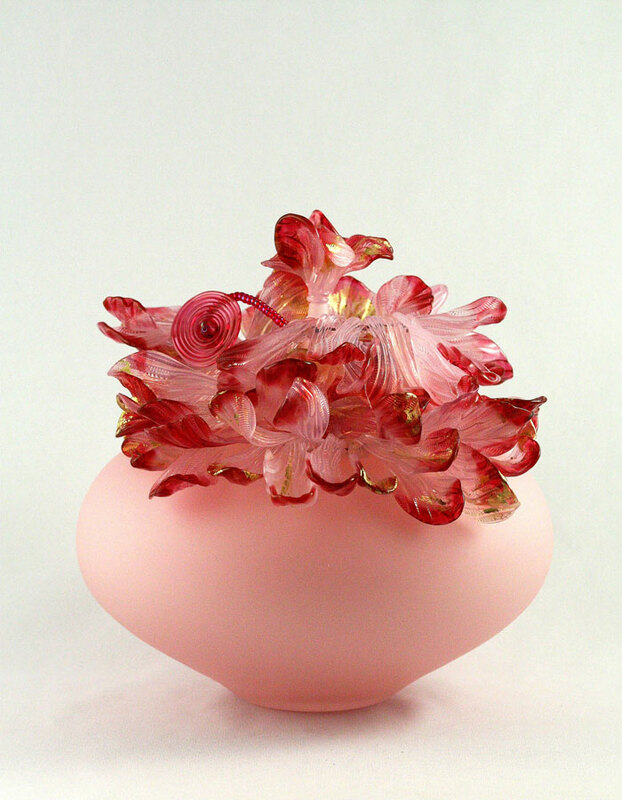 I choose to create ornamental body glass because variations on a theme, the possible compositions and contrasts are endless. I can create unlimited objects where the detail is worked to excess and where the colors glide on the glass like paint on a canvas. I strive to fill the space with vibrating color like a shiver. The vessels I create give the illusion of slender bodies and the wall hangings of cascading paint, seducing the viewer. My jewelry is sculptural and versatile. 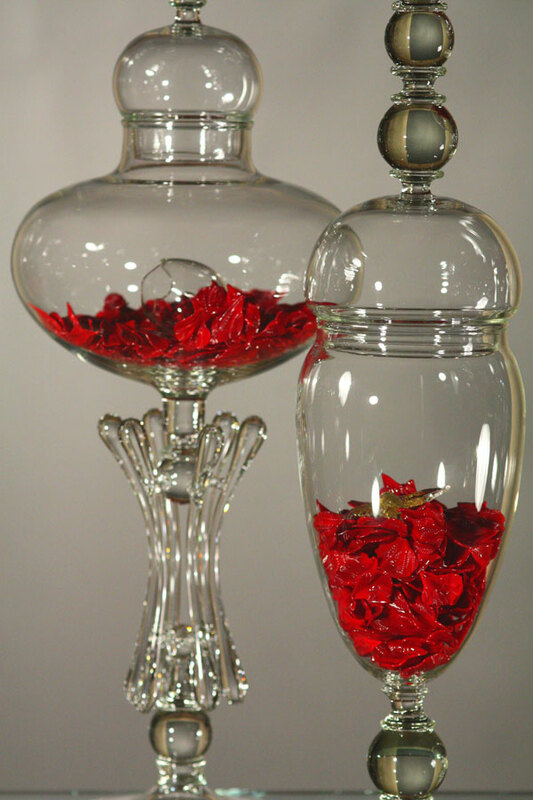 It can be worn on the body and then placed over its vase or hung on a wall. Its sculptural identity becomes whatever the owner chooses. 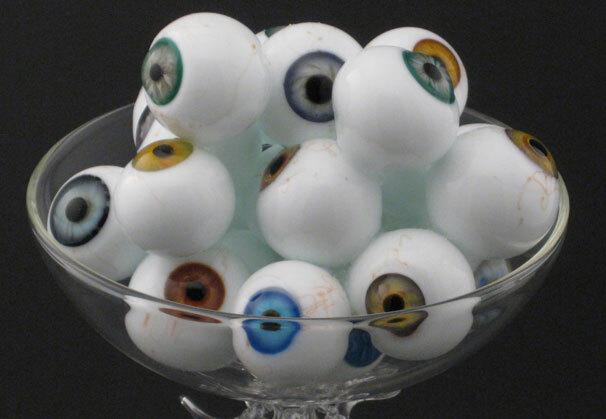 Glass has been a fascinating material for millennia. It offers infinite transformative and creative possibilities. 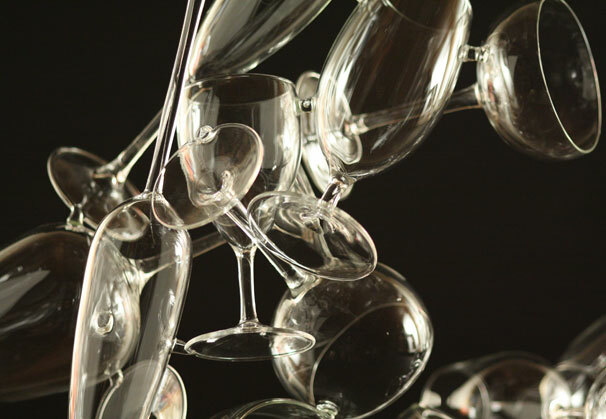 My work as a glassblower has allowed me to meet and work with passionate, fascinating people. 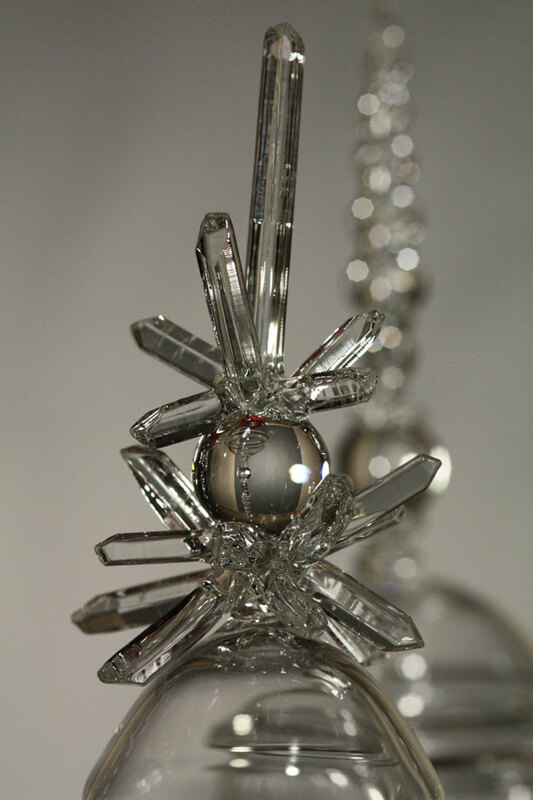 It has allowed me to work with scientists, artists and designers on unique and captivating projects. 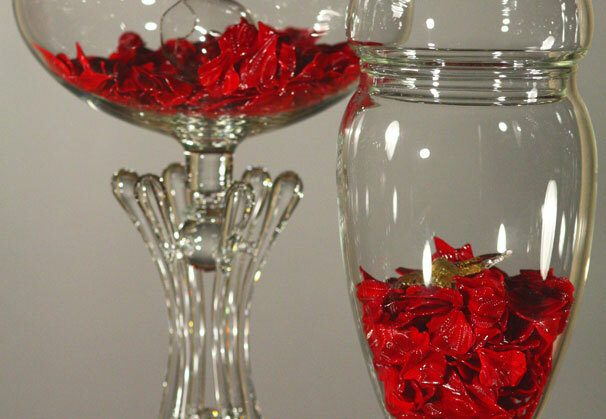 Working with glass is akin to traveling through time and history. It’s also the possibility to discover something new every moment, an endless journey of apprenticeship! I want my creations to be full of poetry and mystery, to speak about the world surrounding us, a rich world full of thrills in which art and science come together. 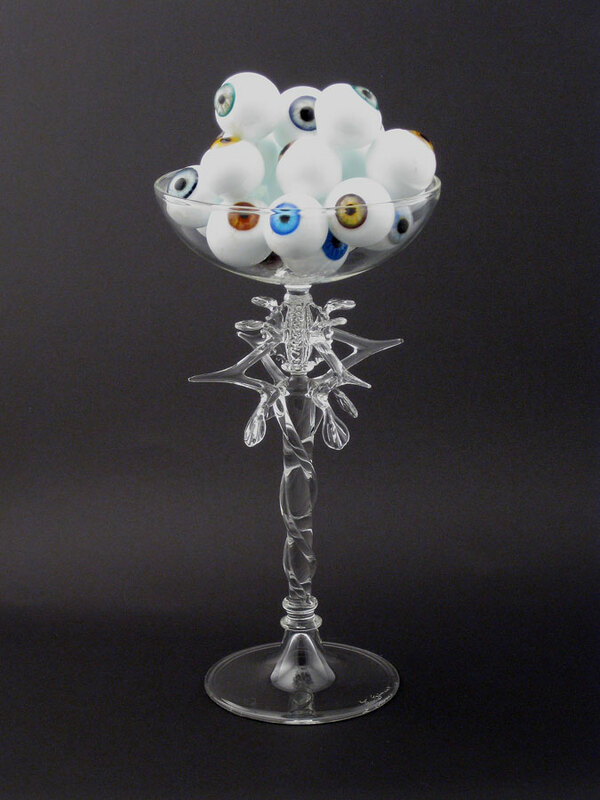 Karina Guévin fell in love with glass while studying at UQTR (Québec University in Trois-Rivières), where she started making mixed-media sculptures, including glass. 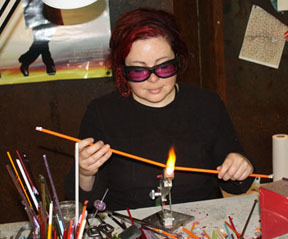 This led her to Montréal’s glass school, Espace Verre, where she perfected her glassblowing skills. 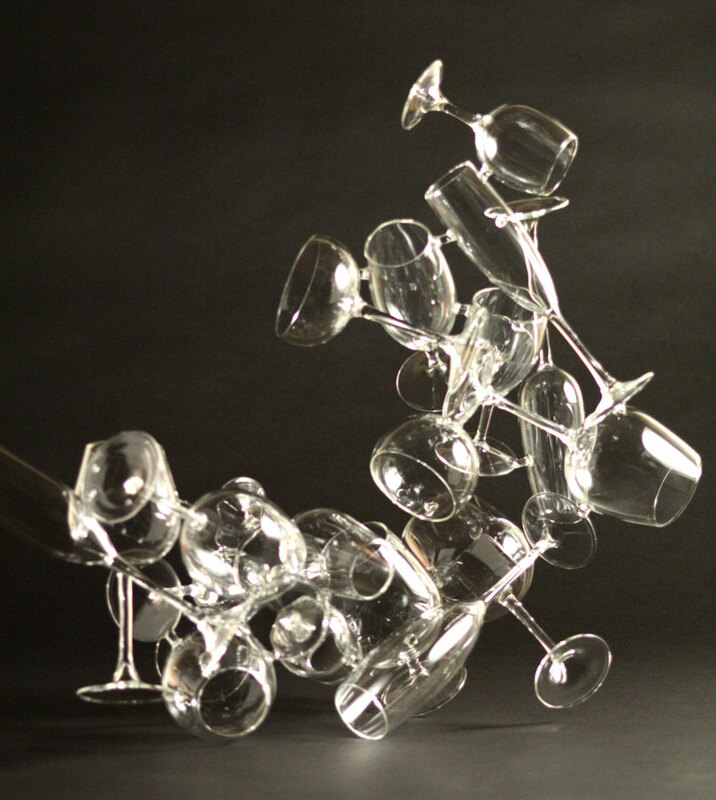 Her approach to glass is very innovative. She always tries to push the envelope when it came to developing her idea. The form and the color come from the bottom of her soul and reflect her crazy bubbly personality. Karina has been working with Laura Donefer for the past seven years and as a teaching assistant at Pilchuck, Ezra Studio in Japan and at the Studio in Corning. 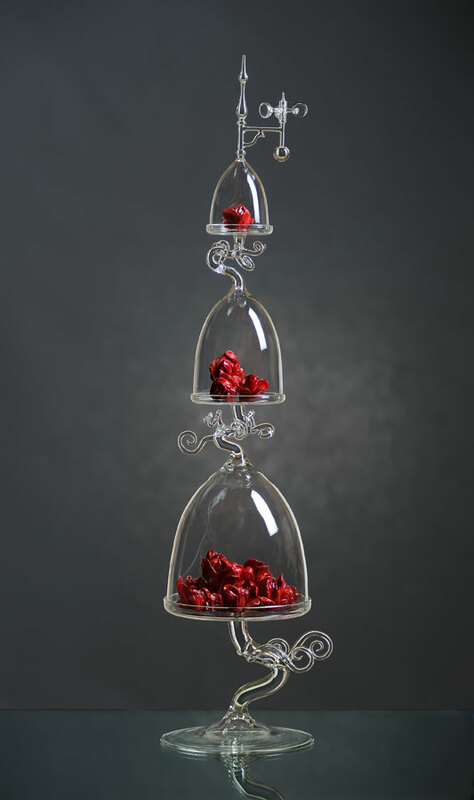 She currently works as a flameworking teacher at Espace Verre in Montreal, at The Studio of the Corning Museum of Glass as well as at the Pratt school in Seattle. In 2010 she received the prestigious Francois-Houdé Award. She has received a grant from the Canadian and Québec Consul for the Arts, many grants from SODEC (Society for the Development of Cultural Enterprises in Quebec), and the Gilles Verville grant in visual art. 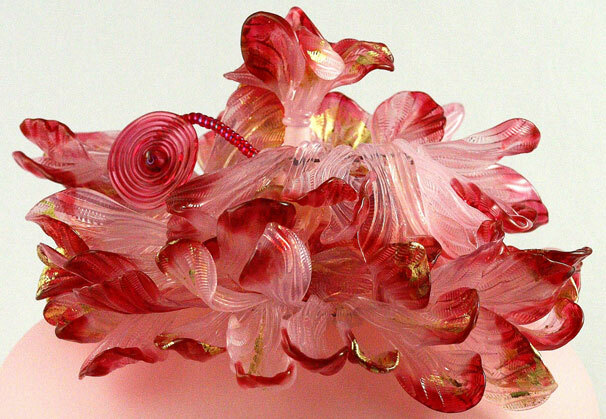 Her work is shown in Canada as well as in the United States, France and the United Kingdom, where she exhibits glass sculptures and jewelry. 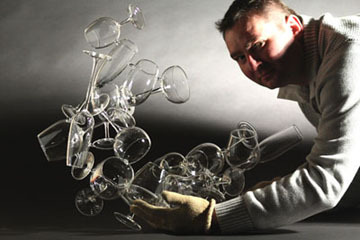 Frequently on exhibit, his artwork is part of private collections and many museum collections. 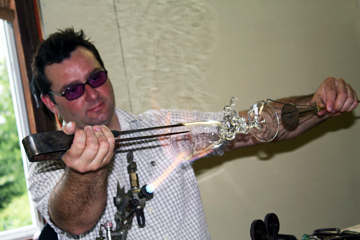 He periodically showcases flameworking techniques at festivals and events in Canada and the United States. We are grateful to Sandra Ainsley Gallery, Toronto, Canada, for providing the materials for the Artist of the Month.